Feng Shui is a beautiful ancient Chinese art that helps humans learn to live in balance and harmony with their surroundings. But, this is where Feng Shui begins to really get personal. The Eight Mansions method or the Eight Houses method personalizes Feng Shui to the person. This method and the use of Feng Shui overall can help people to create happy, successful, even wealthy lives! The Eight Mansions method uses a precise formula that includes the breadwinner’s birth year, gender, and location of the doorway in order to determine one’s lucky and unlucky directions in the home or the office. That way, the person can sit, stand, or lay down in their auspicious directions in order to bring luck into their lives. The Eight Mansions, Eight Houses, or Eight Life Areas are education and knowledge, family and health, wealth and prosperity, recognition and fame, marriage and romantic happiness, children, and mentors and networking. In some books or websites the list is a bit more succinct: education, relationships, children, wealth, fame, friends, pleasure, and health. What Is Eight House Feng Shui? 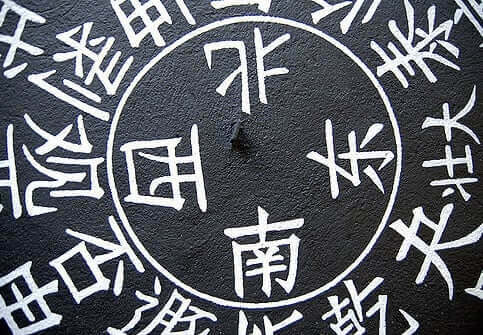 The method of Eight House Feng Shui is based off of the eight compass directions: east, west, south, north, northeast, southeast, northwest, and southwest. 4 are lucky and 4 are unlucky directions.The eight energy directions in the Feng Shui grid are Sheng Chi, Fu Wei, Tien Yi, Nien Yen, Ho Hai, Wu Gui, Liu Sha, and Chueh Ming. Sheng Chi, Fu Wei, Tien Yi, and Nien Yen are the lucky or auspicious directions and the energy from these directions is positive. Ho Hai, Wu Gui, Liu Sha, and Chueh Ming are the unlucky or inauspicious directions. It is important for the person who is the main person of the particular room to face in the direction of the positive energy to bring luck. Sheng Chi is the direction for vitality and prosperity and a good reputation. Fu Wei is the direction for harmony, peace, and stability. Tien Yi is the direction emitting health and well-being. Nien Yen is the last favorable direction, and it represents longevity and relationships. The last four directions are the inauspicious ones. Ho Hai brings obstacles and accidents. Wu Gui represents the five ghosts: fire, loss of income, theft, quarrels, and misunderstandings. Liu Sha is the direction of deceit, missed opportunities, legal problems, illness, insomnia, inability to concentrate, and lethargy. Lastly, Chueh Ming is the most dangerous direction and represents disaster. In business it could mean failure and poor finances. In personal life, it could lead to depression or suicidal feelings. These directions correspond with the compass directions which in turn correspond with the Eight Mansions or Eight Houses or Eight Life Areas as mentioned above. How To Practice Eight Mansions Feng Shui? As discussed previously, a person needs to determine the direction that their doorway/home/office is facing using a compass. Then they must find their Kua number. This is the number calculated using the person’s birth year, gender, and location. The formula is different for men and women. Then, using that number, a person can figure out which direction is auspicious for them and which is inauspicious. That number relates to a compass direction which relates to a direction of energy whether lucky or unlucky. Then, they are able to put Feng Shui into practice and manipulate and adjust their surroundings in order to face the direction that will be the most positive for them. In this scenario, Feng Shui is configured to the individual person. If it is a family, Kua numbers can be calculated for all of the members and used in their respective rooms. But, we cannot forget the Bagua or the Pa Kua. It is an octagonal map that displays the Eight Mansions and their corresponding directions and elements that go with them. This is useful because it can be enlarged or reduced in order to fit the area the person wants to incorporate it into. For example, it can be laid over the blueprint of a house to determine auspicious areas or it can be used to incorporate good Feng Shui in a smaller area such as the garden, a particular room, or the office. For explanation of this, let’s use the succinct list of the Eight Mansions in order to explain. The sector of wealth is in the southeast, fame in the south, relationships in the north, friends in the northwest, pleasure in the west, education in the east, children in the northeast, and health in the southwest. But, this article is intended to specifically explain how to increase one’s personal wealth using the Feng Shui Eight Mansions method. It cannot only help in all of the life areas, but increasing one’s wealth is on many of our minds. As mentioned in another article on this site, the Three-Legged Toad, Chan Chu, or the Money Frog is useful when placed in an auspicious area to bring wealth and prospects into the life of the owner. But, using the Eight Mansions, it is useful to find out where the sector of wealth lies. It lies in the southeast; its color is green; and its element is wood. The person in search of increasing personal wealth will want to know which direction is flowing the energy of Sheng Chi. This direction is useful for prosperity and vitality, and the person should face in this direction when eating, drinking, sleeping, and sitting, especially in the wealth sector of the home. This area of Feng Shui would be especially useful to put into practice in one’s office or work area in deciding, for example, which way to place one’s desk, so that the person can face the auspicious direction. Also, the element of wood should be placed in the wealth sector to help bring about good luck in that area of life. In ancient times a Feng Shui practitioner would be called upon to use a special compass, a lo p’an, and the Bagua to map out a proper area on which to build and then to organize the area. But, today, individual research can be done in order to begin to implement good Feng Shui. Some of these areas are a bit more complicated, such as calculating the Kua number and discovering one’s lucky direction, so it may be useful to search for a Feng Shui expert. Builders and designers and business owners, especially in China, still consult experts to make sure they are building and setting up and running a successful and positive home, office, or other building. Feng Shui is an amazing form of art. Its intricacies have been developed for thousands of years and draw upon the truth of nature: its energies, its harmonies, and its flow. The Bagua and the Eight Mansions are very accessible whether in books or on the internet if someone is looking to reorient their home and the direction they face when performing normal tasks. It’s fascinating how global yet how personal Feng Shui can be. It can be tailored to each individual and their own home or office and bring about successes in their personal lives, but it is also so widespread that business owners and builders are using it when they create giant high rises or apartment complexes. Read about the lucky and unlucky directions written about above and figure out if those energies are being experienced in the home or the office (whether positive or negative). Perhaps it will give pause before sitting down to eat or laying down to go to sleep.